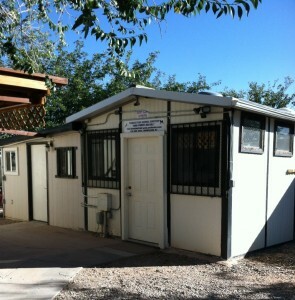 In 1977, a small group of concerned Tombstone citizens banded together and incorporated the Tombstone Small Animal Shelter. At that time the animals were housed in an unused public works water treatment shed near the landfill on the north edge of town. In 1995, the current structure was built. The new building contains 12 dog kennels (suitable for two small dogs or puppies, if necessary) and seven cat cages. 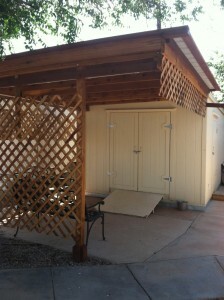 Each dog kennel has an inside and an outside area. Each cat cage has a window. Outside are six large dog play areas and one small area for puppies. 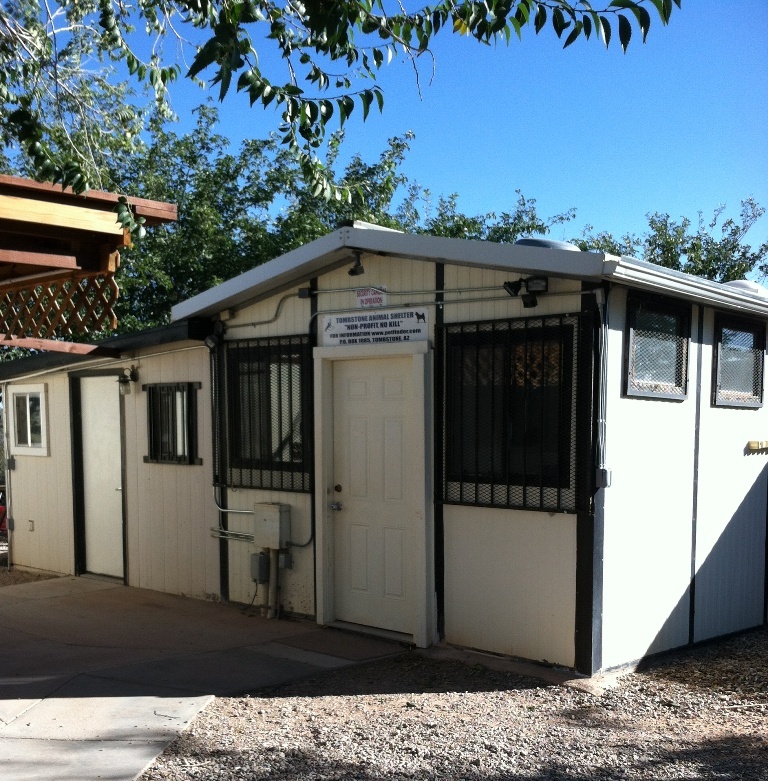 The Adoptions Program: Adoptions are done Saturdays from 2:00 to 4:00 p.m. and also by appointment seven days a week. Volunteers also take pets to PetSmart, and Cal Ranch, in Sierra Vista for adoption most Saturdays. Spay/Neuter/Shots Program: All adoptable pets are neutered or spayed and given necessary shots. The Community Trap and Release Program (TNR): Problem feral cats are live trapped, neutered/spayed and RELEASED back where they were trapped at no charge for Tombstone residents. Community Assistance Program: Provides low-income residents with emergency requests for pet food and with board approved, veterinary care as funds allow. Volunteer Program: Volunteers are trained in how to care for and feed animals in the shelter and are set up on a work schedule. Volunteers are always to walk dogs and should call if interested. Dog Walking Program: Volunteers are trained in taking shelter dogs for walks. Donation Canister Fundraising Program: Town business’ have “doggie” banks to collect donations for the shelter. Newsletter Program: Newsletters are mailed out yearly asking for donations. Fundraising Program: Various fundraisers are held throughout the year such as the pet parade, t-shirt sales, photos with Santa, yard sales, and donation tables at various sites. 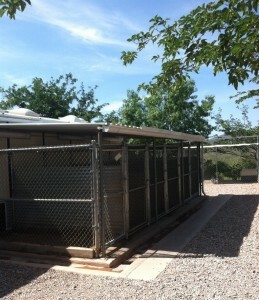 Today the shelter is run mostly by volunteers, with one paid custodian during the week. Tombstone has approximately 1400 residents, so getting and keeping good volunteers is an on-going concern. Volunteers do the following and more: feed animals, clean kennels, provide pet transport to veterinary appointments, help with building and landscape maintenance, wash and fold bedding, clean shelter and storage areas, maintain a web presence on FaceBook, create, mail out and hang flyers with pictures of adoptable pets, write grants, and help with all fundraising events.